The nationally recognized Cash Handling program is a popular, four hour training program for treasurers, clerks, and cash handlers. Training provides best practices and procedures to manage risk while handling and processing cash. Perfect for first-line employees as well as any other personnel responsible for handling cash. Topics include fraud deterrent, currency and check recognition, electronic payment mechanisms, internal controls and relevant legislation. Registration fee of $75 for members and $100 for non-members includes a certificate of completion, materials, and refreshments. 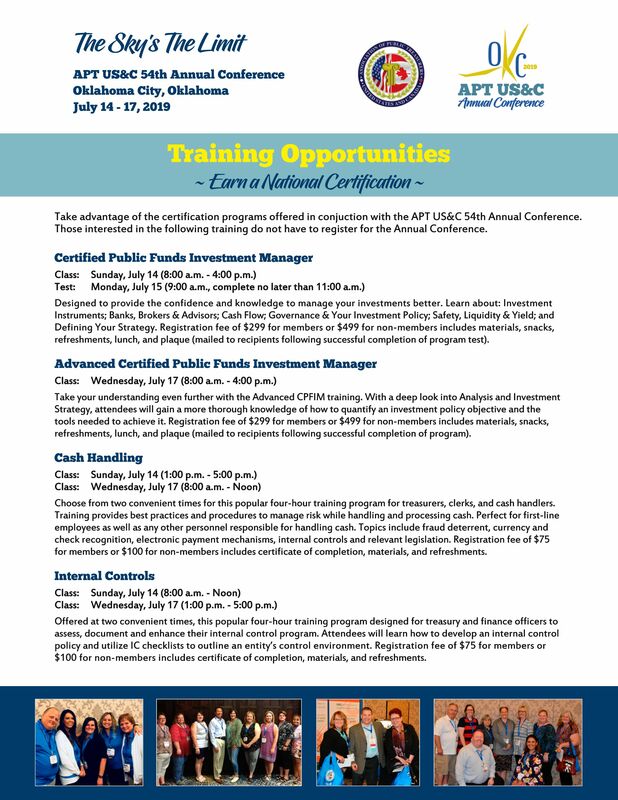 You can register for the Cash Handling training as part of your conference registration or you can attend only the Cash Handling session (or other add-on training) by registering here.